On 16th May, 2014, the Bharatiya Janata Party registered its record win in the Lok Sabha elections, winning 282 seats. As results for all 543 Lok Sabha seats were announced, the NDA looked set to win 336 seats, not only far ahead of the half-way mark but also relishing a victory whose scale they had not themselves anticipated. However, the centre has seen infinite and unending reshuffles within their cabinet ministers over past five years. We have also witnessed same minister holding multiple ministries. Is this because of lack of talent within the NDA or the incompetence factor which was recognised after umpteen number of trials or something else! In November 2014, PM Modi expanded his cabinet to relieve ministers juggling multiple portfolios and Manohar Parrikar, Chief Minister of Goa, replaced Arun Jaitley as the Defence Minister. As per sources, the prime minister wanted Jaitley’s complete focus on finance ahead of his government’s first Budget next year. In March, 2017, Manohar Parrikar abruptly resigned as the defence minister, as he once again prepared to be sworn in as the chief minister of Goa. The portfolio was handed back to Arun Jaitley in the interim. There is a lot of conjecture around Parrikar’s resignation from the said ministry and the opposition party Congress has directly accused him of being party to the alleged Rafale deal scam, which took place in May 2015. In September 2017, Nirmala Sitharaman succeeded Finance Minister Arun Jaitley, who had been holding the additional charge of Defence Ministry. Jaitley, who left for the US for medical treatment after the conclusion of the winter session, was expected to be back by later this week, so that he could present the vote on account, scheduled on 1st February. However, since Jaitley’s return is not expected to be anytime soon, President Ram Nath Kovind on Wednesday, allocated the finance ministry portfolio to Piyush Goyal, currently minister of Railways and Coal. Goyal was also in charge of finance ministry between mid-May and August last year, when Jaitley underwent a kidney transplant at the All India Institute of Medical Sciences in the national capital. 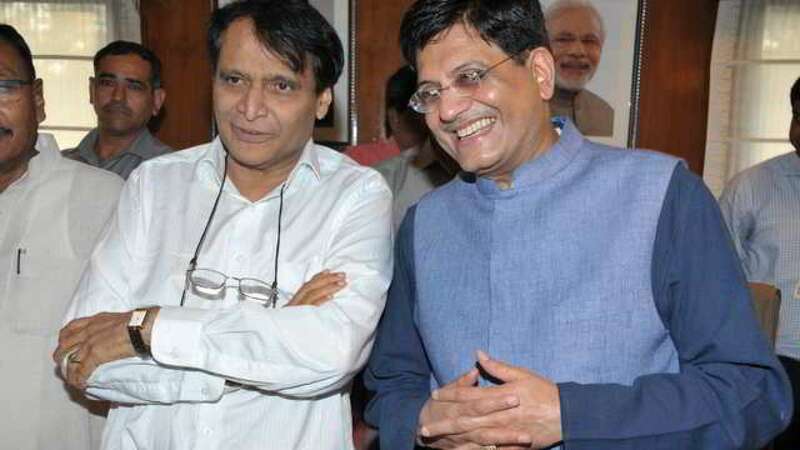 As per this development, Piyush Goyal now holds additional charge of the portfolios of Minister of Finance and Minister of Corporate Affairs along with his existing portfolios of Railways and Coal. In July, Piyush Goyal took over as the Minister of Mines from Narendra Singh Tomar and also became the Minister of Railways on in September 2017. 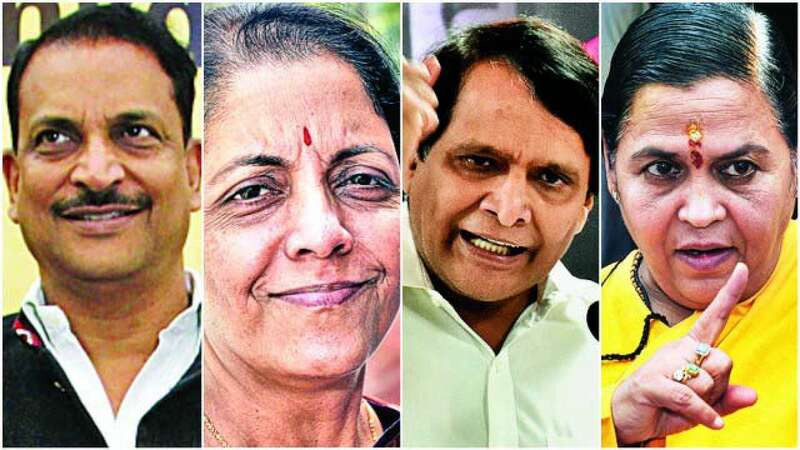 Handing over four key ministries to one individual only indicates that there is acute lack of talent within the Modi Sarkar. In May 2014, she took charge of the Human Resource Development Ministry claiming to be the youngest cabinet minister, however, her graph over past 5 years has only demonstrated her failure in every ministry. In July 2016, she was moved out of the high-profile HRD Ministry and given the responsibility of the Textile Ministry. 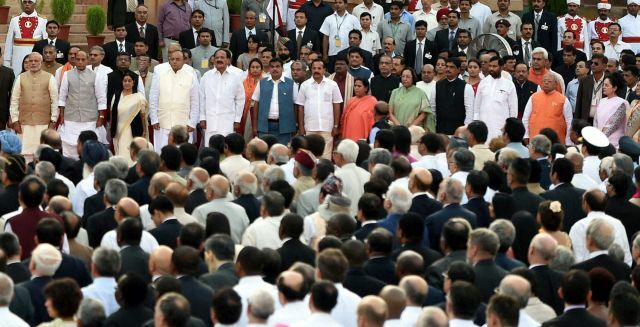 Narendra Modi’s decision to downgrade Smriti Irani’s portfolio was described by many as the surprise demotion of a leader considered close to the Prime Minister. Prakash Javadekar replaced Smriti Irani as the HRD Minister, and as per media reports, this was done with an aim at keeping Modi government away from unnecessary controversies that Irani had triggered during her stint. However, exactly a year after her demotion, 41-year-old Irani was back in the big league, getting an additional charge of the Information and Broadcasting Ministry after M Venkaiah Naidu resigned from the post to contest for the Vice-President. Irani’s stint at the I&B too was controversial — from fighting with the Prasar Bharti Board to issuing a notification on “fake news”, which was eventually withdrawn at the behest of the PMO. The row involving the President of India Ram Nath Kovind regarding the National Film Awards ceremony was the final nail on her coffin. The I&B ministry which Smriti Irani helmed for fewer than 10 months was handed over to Col. (retd.) Rajyavardhan Singh Rathore. Rajyavardhan is also a Minister of State for Ministry of Youth Affairs and Sports. Irani currently is left as the Minister of Textiles in the Modi government. It must be noted that despite unsuccessfully contesting the Lok Sabha election from Uttar Pradesh’s Amethi, Irani was given an important HRD ministry to handle purely on the basis of her popularity within the BJP. Irani’s educational qualification too has been challenged in court in 2014. In the complaint, Irani was accused of providing wrong information regarding her qualification to the Election Commission. Narendra Modi, Prime Minister, retained with him the portfolios of Personnel, Public Grievances and Pensions; Department of Atomic Energy; Department of Space; all important policy issues and all other portfolios not allocated to any Minister. Previous articleYOUR DREAM: Ambani kids and their convoy seen driving cars worth ₹17 crore in Mumbai!!! 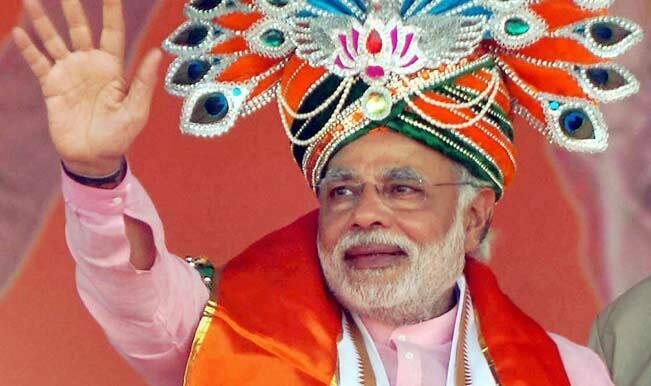 I HAVE READ THIS ONE OF THE BEST ESSAY ON BJP AND HOW MR MODIJI HAS FAILED. THEREFORE I CAN CONVENIENTLY FORECAST AFTER SEEING THE ARRIVAL OF MOST DYNAMIC AND CHARISMATIC PRIYANKHA GANDHI BJP WILLLOOSE HEAVILY. AND CONGRESS WILL MAKEA CLEAN SWEEP AND LANDSLIDE VICTORY WITH 350 SEATS …YOU MAY NOT TRUST THIS MAGIC NUMBER ONCE INDIRA GANDHI HAD IN PARLIAMENT NOW HER GRANDDAUGHTER PRIYANKHA WILL GET IT. SO BJP WILL BE BURIED VERY DEEP.